Quick question: What is one of the most widely played casino card games in the world? The answer is Blackjack. Also called 21, the card game has become a crowd favourite because of the simplicity of the game and the fact that players can actually beat the dealer of the house with a little bit of luck. The game has also had a notorious edge to it with players counting the cards to get an upper hand on the dealer and winning the game. This move is now considered illegal and casinos all over the world evict players they suspect. The rule of the game is simple: get to 21 before the dealer does. In a way, Blackjack is unique because it is one of those rare games where players are not competing against each other, but against the person dealing the cards. In other words, the house itself. An interesting bit of trivia regarding the game is that the first mention of it seems to be made in the famous Spanish novel Don Quixote by Cervantes. Ever since the early ages, Blackjack has been attracting players to try and beat the hand that deals the cards. Active Player: The player who plays the live round at the table with the dealer. In Blackjack, other people can occupy the table while a game is on but not take part in it. Banker: The person at the table responsible for booking actions of the active player. Bankroll: The sum total of the chips an active player has in their possession. Basic Strategy: The calculation a player takes to gain the advantage over the dealer and the house. Most of the calculations involve the exposed cards of an active player and the exposed cards of the dealer on the table. Bet Spread: The mathematical proportion between the maximum and the minimum bet size in a game. For instance, a Blackjack table using a maximum of $100 and a minimum of $10 has a 10:1 bet spread. Betting Limit: The maximum and minimum betting limit on a single game. An active player can only bet within these constraints. 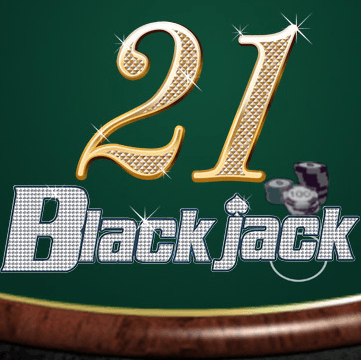 Blackjack: When an active player hits 21 and wins in the first two moves of the game. The first two cards dealt will be an ace and any other card having a value of 10 points. Buck: A bet placed by an active player that amounts to $100. Bust: When a player goes over 21 points, they lose to the dealer. This is called bust. Card Weight: Each face card in the counting system is assigned a certain number of points. This is known as card weight. When a new card is dealt, the weight is added to it. The values assigned are usually small integers, such as minus one or plus two. Case: Each deck contains ranks, and the last card of a certain rank in a particular deck is known as a case. Chips: The tokens that are used by the active player to place their bets. They are representative of money in value. Count: A calculated estimate made by a player to gauge whether the non-dealt cards in the deck may or may not be favourable for a Blackjack. Crack: When a player beats a really big hand held by the dealer. Deal: When the cards are dealt on the table. Dime: The sum total of $1000. Discard Tray: The tray that sits on the dealer’s right hand side, containing the cards that have been played or discarded in a game. Double Down: A calculated risk taken by an active player where they offer to double the original bet to receive the third and final card. Down Card: When a new card is dealt face down on the table. Even Money: If the dealer’s up card is an ace, the player can place a side bet that totals half the original bet. Some Blackjack games offer to pay the additional money even if the player chooses not to place the extra bet. First Base: The position to the left of the dealer where the first card is dealt. Flat Bet: When a player places the same bet amount on successive games. Hard Hand: A hand that amounts to 11 without containing an ace. Hit: The term used by players to tell dealers to deal the additional card. Hole Card: The dealer’s single face down card. Natural: A two-card hand that amounts to 21 points (Blackjack). Pat Hand: A hand that amounts to 17 points.